Thanks to policy changes by President Obama earlier this year designed to encourage more contact between Americans and citizens of the Communist-ruled island, the Treasury Department is once again granting so-called “people-to-people” licenses, which greatly expand travel opportunities for Cuba-bound visitors. The licenses, created under President Bill Clinton in 1999, stopped being issued in 2003 under travel restrictions imposed by President George W. Bush. 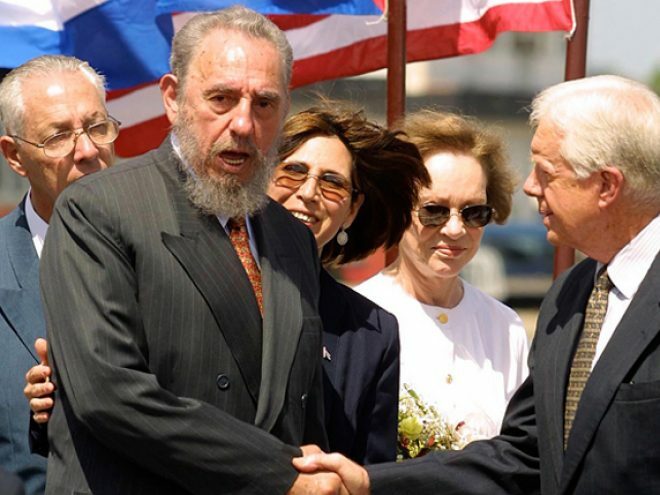 Subsequently, the number of travelers from the United States visiting Cuba legally dropped from more than 200,000 in 2003 to less than 50,000 in 2004, according to estimates by Bob Guild, vice president of Marazul Charters in North Bergen, N.J., among the largest United States organizers of trips to Cuba. The new changes, which come on top of loosened restrictions for Cubans and Cuban-Americans visiting relatives in Cuba, are expected to push the number of travelers visiting Cuba this year to 450,000 this year. “We estimate 375,000 to 400,000 Cuban Americans will visit this year and another 50,000 in other categories of legal travel,” said Mr. Guild of Marazul. To be clear, it is still illegal for ordinary American vacationers to hop on a plane bound for Cuba, which has been under a United States economic embargo for nearly 50 years. True, plenty have dodged the restrictions — and continue to do so — by flying there from another country like Mexico or Canada (for Americans, traveling to Cuba is technically not illegal, but it might as well be since the United States prohibits its citizens from spending money in Cuba, with exceptions for students, journalists, Cuban-Americans and others with legal reasons to travel there). And while Washington has also expanded licensing for educational groups traveling to Cuba by loosening requirements, travelers joining an educational trip must still receive credit toward a degree. But the new people-to-people measures make it easier for United States citizens who do not have special status as working journalists or scholars to visit Cuba legally, so long as they go with a licensed operator. “All a U.S. citizen has to do is sign up for an authorized program and they can go to Cuba. It’s as simple as that,” said Tom Popper, director of Insight Cuba, a travel company that took more than 3,000 Americans to Cuba between 1999 and 2003, and was among the tour operators to apply for a license under the new rules earlier this year. It received its license at the end of June, and has planned 135 trips of three, seven or eight nights over the next year. But other organizations, including Collette Vacations, the National Geographic Society and the National Trust for Historic Preservation, are still waiting to hear from Washington. “They are not issuing them with any kind of speed,” said Janet Moore, owner of Distant Horizons, an authorized travel service provider to Cuba, who has been helping organizations apply for people-to-people licenses. For example, Harvard University, which is offering an alumni trip under the new rules, was among the first to receive the special people-to-people license, Ms. Moore said, while the Corcoran Gallery of Art in Washington, which operated four trips to Cuba between 2001 and 2003, has yet to receive theirs. “The bottom line is yes, they have issued some licenses, but they are doing it at a snail’s pace,” she said. In all, only eight companies had been issued people-to-people licenses by the end of June, according to the Treasury Department. Thirty-five applications were still pending. The trips aren’t your typical Caribbean vacation. Rather, the focus is on meeting local citizens and learning about the culture, not beach hopping and mojito-swilling. Days are filled with busy itineraries that may include visiting orphanages or speaking with musicians or community leaders. Guidelines published by the Treasury Department say the tours must “have a full-time schedule of educational exchange activities that will result in meaningful interaction between the travelers and individuals in Cuba.” But besides the mingling, the trips — which can range from $1,800 for a long weekend in Havana to more than $4,000 for a week — usually include opportunities to visit historic sites like Old Havana, or, for longer itineraries, a visit to Cienfuegos, a picturesque city in the South. Don’t expect to stock up on those coveted Cuban cigars, however. Travelers aren’t allowed to bring cigars or rum back to the States, according to the Treasury Department. Following is a list of planned people-to-people trips to Cuba. HARVARD UNIVERSITY’S ALUMNI ASSOCIATION, alumni.harvard.edu, will take a group of 35 to Havana for five days in late October, led by Julio Cesar Pérez Hernández, the Cuban Loeb Fellow at Harvard University Graduate School of Design, to explore the city and meet professionals, including local artists and enjoy a private concert at the Ceramics Museum with guitarist Luis Manuel Molina. Cost: $3,880 a person based on double occupancy, including airfare from Miami. INSIGHT CUBA, insightcuba.org, is offering several trips that include a weekend in Havana that costs $1,795 and visits an orphanage; Callejon de Hammel, a community project promoting art, music and culture; the Instituto de Cubano de Amistad con los Pueblos (Cuban Institute of Friendship With the People), an international Cuban organization that promotes cultural relations between the United States and Cuba; and an eight-night Cuban Music and Art Experience ($4,095), where visitors meet the staff at Egrem, the Cuban state record company, participate in a percussion and dance workshop, visit local music schools and talk to musicians during rehearsal at a famous Havana jazz club. LEARNING IN RETIREMENT, uwlax.edu/conted/lir/index.html, is offering a 10-day trip in April 2012 visiting a range of professionals from Santiago de Cuba to Trinidad including a violin maker and a dairy farm operator. Cost: $4,300 for members who pay a $35 annual fee. CORCORAN GALLERY OF ART AND COLLEGE OF ART AND DESIGN, corcoran.org, plans to offer an eight-day trip in November, pending a license. The trip, led by Mario Ascencio, the museum’s library director, will explore the art scenes of Havana and Trinidad, a Unesco World Heritage Site. Guests will attend a cocktail reception at the Ludwig Foundation, which promotes Cuban contemporary artists, and meet local curators, artists and gallery owners. Cost: $3,700 a person, including round-trip airfare from Miami for guests who pay $60 for a museum membership.